Plan a multi-generation or grandparent vacation for exploring the world together with luxury amenities and bonding activities that everyone will love! Whether you’re planning a large family reunion or a grandparent vacation for you, your children and their grandparents, the hallmarks of a wonderfully bonding, multi-generational, luxury family vacation are exciting adventures, fun activities and an abundance of delightful, whole-family experiences. Nothing creates undeniable bonds like exploring the world together on a custom-crafted, luxury, multi-generation vacation for grandparents, adult children and grandchildren. 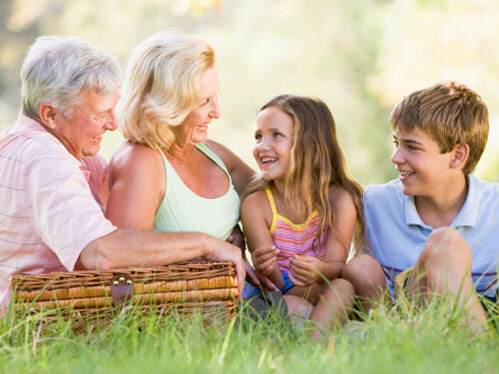 Grandparents get to enjoy the grandkids, grandkids experience a “once-in-a-lifetime” vacation and parents get to take a bit of time off from their hectic schedules to truly relax and spend quality time with those they love most. It’s a winning situation for the whole family!